Kate Moss doesn't consider herself a ''gym bunny'' because working out used to make her feel ''ill'', although she has since changed her opinion. 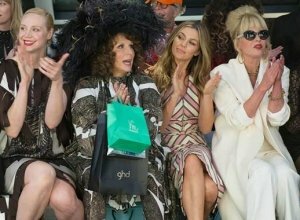 The 43-year-old supermodel believes eating healthy is ''really important'', and though she ''never'' used to be an avid exercise enthusiast when she was younger because it made her feel ''ill'', she has since changed her ways. 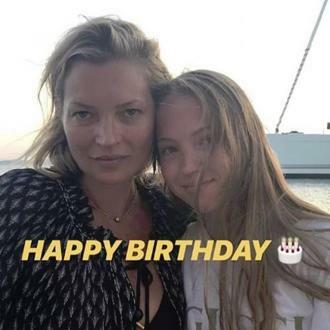 Speaking about how her lifestyle has changed over the years to the Guardian Online, the blonde-haired beauty - who has 15-year-old daughter Lila Grace Moss Hack - said: ''Food is really important. I try to eat healthily. And I do cook, but not as much as I'd like to because I'm busy, but I cook a good roast. I do good breakfasts - eggs are my forte. I really enjoy food, proper food, but I do try to eat more healthily than I used to. I think as you get older you have to. When I was young I was so low maintenance I didn't have to worry. Not what I ate, not about anything really. My skin looks better when I eat well, too. Obviously if you eat all that grease, skin just doesn't look as healthy. I've really noticed an improvement since I've been more 'on it' with food - like eating salads and all that stuff - I never used to really eat salads. And now I'm like, juicing! And the catwalk icon has admitted her skincare routine is ''really simple'' because she cannot be ''bothered'' to smother her face in lots of beauty products. She explained: ''My skincare routine is really simple. I couldn't be bothered with loads of products and I'd get them all mixed up and not know what I was doing. I haven't got the time or the inclination to sit there for ages, putting creams on my face. I need it to be effective and quick. I've been to bed in my make-up on occasions but I wouldn't make a habit of it, not now. You can always tell the next day. It's not a good look.